Vermont is more than just fall color and maple syrup. Our state has amazing attractions you can experience year round. 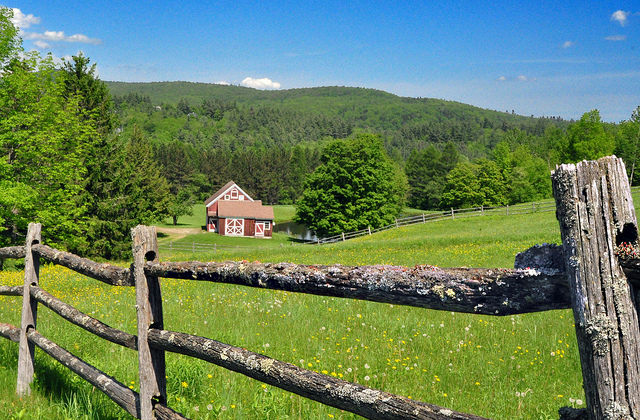 Here are our top three picks for day trips in Vermont. There are a lot of back roads in Vermont that aren’t accessible by tour bus. Check in with a tour guide company that specializes in minivan tours and see all of Vermont’s back roads glory, from covered bridges to charming villages. Vermont’s Green Mountains are a north-south ridge running down the spine of Vermont, with two of America’s most popular hiking trails: the Long Trail and part of the Appalachian Trail. Lace up your hiking boots, get out and experience Vermont’s best wilderness. The most famous ice cream in America, Ben & Jerry’s is a national treasure and a local Vermont icon. Stop in at their factory and take the full tour, see how all the ice cream is made, and taste the flavor of the day. Still want more dairy goodness? Check out the nearby Cabot Cheese annex store.